Our experienced veterinarians will work with you to determine the best course of treatment for your pets, from traditional treatments to acupuncture and cold laser therapy. Keep your pets happy, healthy and comfortable for years to come by bringing them to Rincon Vista Veterinary Center today. Meet our friendly staff and see what we have to offer you and your pet. Dr. Auburn Heist moved from Pennsylvania to Tucson in 1996 and has called Tucson home ever since. After years of working in the field of human medicine as a Medical Technologist, she pursued her lifelong dream of helping animals and received her Doctor of Veterinary Medicine degree from Colorado State University in 2008. She became certified in Veterinary Acupuncture that same year and became the proud owner of Rincon Vista Veterinary Center in 2013. Dr. Heist has volunteered in several spay and neuter clinics in Mexico with VIDAS and plans to volunteer her time with World Vets later this year. Her furry and feathered family of rescues includes 1 horse, 4 dogs, 2 birds, and 4 desert tortoises, and in her free time, she enjoys horseback riding, gardening, jewelry-making, and travel. 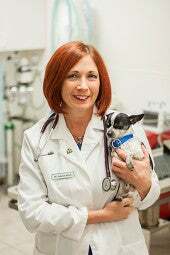 She is a member of AVMA (American Veterinary Medical Association), SAVMA (Southern Arizona Medical Association), and the World Vets Organization. A native Tucsonan, Dr. Olsen was born at St. Mary's Hospital, graduated from Rincon High School, then graduated with honors from the University of Arizona in 1983 with a Bachelor's degree in Animal Health Science, the pre-veterinary curriculum. 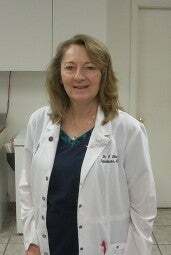 She graduated in 1987 from Colorado State University with her Doctor of Veterinary Medicine degree and began practicing small animal medicine and surgery in Green Valley and Tucson, as well as serving as a control veterinarian for American Endurance Ride Conference-sanctioned horse rides in Arizona and New Mexico. In 1995 she became a Diplomate of the American Board of Veterinary Practitioners, certified in Canine and Feline Practice. Her professional interests include internal medicine, feline medicine, neurology, allergy/dermatology, and the philosophy of the Fear-Free practice. Dr. Olsen is excited to join the team at Rincon Vista Veterinary Center and is eager to meet you and your furry family members. 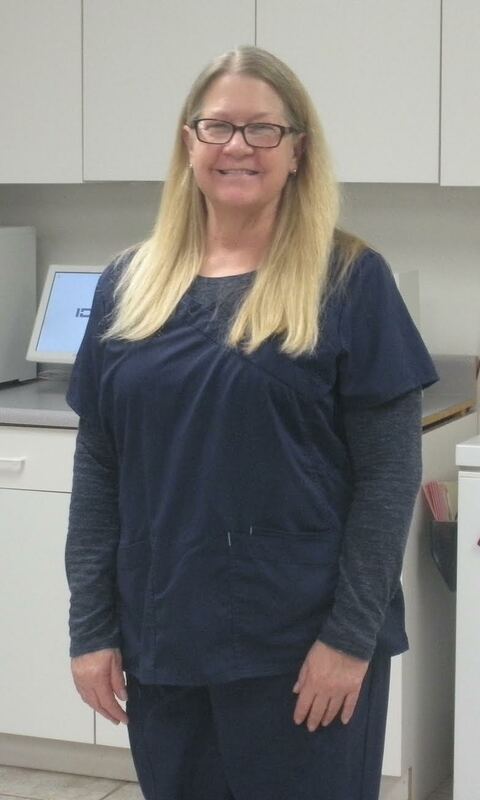 "I graduated from Pima Medical Institute with an associate’s degree in veterinary technology and became a Certified Veterinary Technician in 2013. 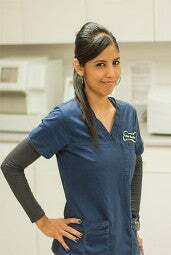 I have a passion for veterinary medicine and helping educate clients on how to care for their pets. My pet list consists of 2 dogs, 1 cat, and a turtle and I have always found the more exotic pets to be the most interesting. I can’t wait to get to know you and your pet here at Rincon Vista Veterinary Center. " 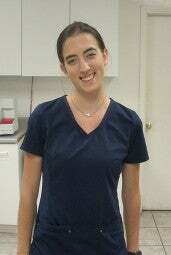 "I've been a veterinary assistant since 2011. I enjoy being able to help pets who are in need. I also take pride in giving clients the knowledge needed to improve their pet's health. I currently have 5 dogs, and just welcomed 1 cat to the family. I enjoy my furry bunch at home, and I enjoy welcoming new furry patients to the clinic." "For as long as I can remember, I knew I always wanted to help animals in one way or another. I finally decided to make that happen and went to school at Pima Medical Institute to become a veterinary assistant. I have 2 dogs of my own, Pepito and Stella, that bring great joy to my life. I always do my best to help all animals, giving them a good quality life." 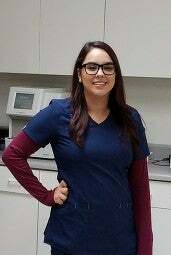 "I graduated from Pima Medical Institute in 2017 as a Veterinary Technician. 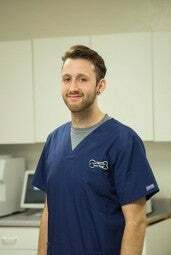 I've always wanted to work with animals, and have a passion for veterinary medicine. I currently have 2 dogs, a cat, and a horse. I am grateful to have an opportunity to work in the field I love." "I was drawn to the veterinary field by my love of animals - and people. I enjoy having the opportunity to build relationships with our pet parents and fosters while helping them provide the best possible care for their pets. My own pets are a cat, Tessa, and a dog, Gunny, who loves taking desert hikes with me."